Brenda L. Steele, age 67, of Paris, Tenn., died Thursday, April 2, 2015, at her residence in Paris, Tenn.
Brenda married Don Lewis Steele, Sr. Oct. 2, 1970, and he preceded in death Dec. 5, 2010. She owned and operated Steele Restaurant Supply with him. She was a member of the Prospect Baptist Church in Hollow Rock. TN and a former Member of Paris Henry County Rescue Squad when females were known as "Crewettes". She also enjoyed her family and grandchildren. She was born July 29, 1947 in Milan, TN to the late Ruben Dodd and the late Edna Waters Dodd. Brenda is survived by her One Daughter, Heather Steele of Paris, Tenn; One Son, Don (Jeannine) Steele, Jr. of Paris, Tenn; One Brother, Bill (Mickey) Dodd of Hollow Rock, Tenn; Grandchildren, Austin Steele, Brendon Steele, and Will Smith; Special Niece, Debbie (Durante) Pryor and her family Christie Hall & Chuck (Christi) Hall. Besides her husband and parents, Brenda was also preceded in death by a Son, Jeffrey Lewis Steele. Arrangements are being handled by Ridgeway Funeral Home, 201 Dunlap St., Paris, Tenn., where the visitation will be from 4 – 7 pm Friday, April 3, 2015 and from 11 am – 1 pm Saturday, April 4, 2015. The Funeral Service will be at LeDon Chapel of Ridgeway Funeral Home at 1:00 PM Saturday, April 4, 2015. Carlton Gerrell will officiate. Pallbearers will be John Pain, David Fitzhugh, Chuck Hall, Durante Pryor, Jesse Wilson, and Noah Taylor. Interment will be at Prospect Cemetery near Hollow Rock, Tenn.
Roy N. “Fozz” Foster, 66, of Hollow Rock, died Thursday, July 4, at Henry County Medical Center in Paris.Funeral service was held at Le- Don Chapel Ridgeway Funeral Home at 2 p.m. Saturday, July 6, with Joe Abbott officiating. Inter­ment was at New Hope Cemetery in Hollow Rock. Pallbearers serving were Mike Clark, Dennie Wayne Kee, Anthony McMack- ins, Jimmy Lowe, and Dwight Bullington. Jimmy Turner served as an honorary pallbearer. He was bom on April 5, 1947 to the late Marvin Foster and An­nie Cumie Cook Foster. He was a certified auto body mechanic and retired maintenance supervisor of Carroll Co. E911 Dept. He is survived by a daugh­ter, Lecrisha (Paul) Brinkley of Bells; a son, Jason (Jackie) Foster of Paris; a special friend, Martha Williams of Huntingdon; and his grandchildren, Kris­ten Douglas, Hayley Brinkley, Hunter Brinkley, Courtney Cobb, Kimberley Cobb, Kahlan Foster, Luke Foster and Ryan Foster. Mr. Jackie Ray Hendrix, 64 of Buena Vista, Tennessee passed away Thursday, December 01, 2011 at Huntingdon Health and Rehabilitation Center. Funeral Services will be conducted on Saturday, December 3, 2011 at 2:00 PM in the Chapel of Chase Funeral Home. Interment will follow in McAuley Cemetery. Bro. Steve Davis will officiate the service. The family will receive friends at Chase Funeral Home on Friday from 4:00PM to 8:00 PM and on Saturday from 8:00 AM until time of service. Mr. Hendrix was born October 22, 1947 in Carroll County, Tennessee to the late Charlie Ray Hendrix and Rhoda Mae (Birdwell) Hendrix. He was a retired United States Army Veteran and who served in Vietnam. He was also preceded in death by one brother, Robert Leon “Bob” Hendrix. He is survived by one sister, Judy Hendrix Hooper (husband Ray) of Gray and two brothers, Charlie Ray Hendrix of Big Sandy and Joe Douglas Hendrix of Buena Vista. 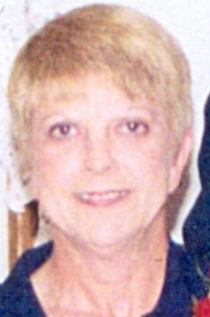 Betty Ann Weatherly, 68, died in her home in Bruceton on Monday, March 30, 2015. Ms. Weatherly, a retired secretary for McClanaham Rock / Vulcan Material, was born on September 17, 1947, in Louisville, Kentucky to the late Charles Sylvester Riggs and Mattie Lou Gribbins Riggs. Mrs. Weatherly was a member of Sandy Point Baptist Church and a loving wife, mother, and grandmother. She was preceded in death by a brother, Charles Sylvester Riggs. She is survived by her husband, Lindell “Doc” Weatherly of Bruceton; two daughters, Dana Douglas and Delanna Nolen, both of Bruceton; two sisters-Mary Robertson of Camden and Mary Lou Burgett of Gordan, Texas; three grandsons; Michael Weatherly, Tyler Weatherly, and Brian Douglas, all of Bruceton.